Axence company was founded in 2005 in Cracow (Poland). Its flagship product allows comprehensive network management and monitoring. Axence nVision software was choosen, among others, by US Air Force and NBC Universal. Completely free software package for every network administrator. 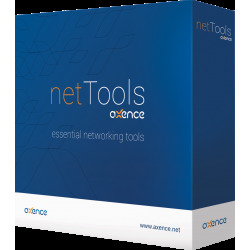 Axence netTools includes network, ports and services scanner, SNMP browser, visual traceroute, remote registry editor and others. 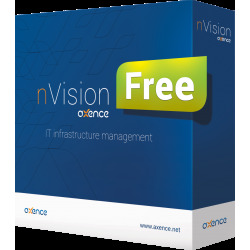 Axence nVision Free is a free version of application for integrated IT management. It offers the mapping and monitoring of an unlimited number of devices (some features - requiring the agent - are limited to 25 devices). The program is completely free of charge, also for commercial use!